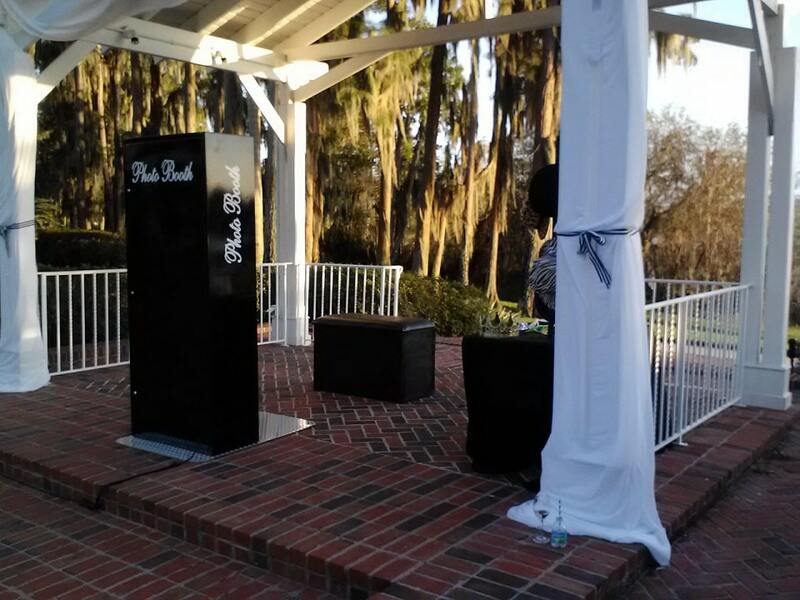 Last month, we talked about the difference between our closed and open air photo booths. And one of the benefits of renting an open air photo booth over a traditional photo booth was the level of customization you have in your backdrop selection. Set the tone of the event, tie in the theme, get ‘gram-worthy selfies, or just add a little bling to those photo booth strips…all with one simple step. 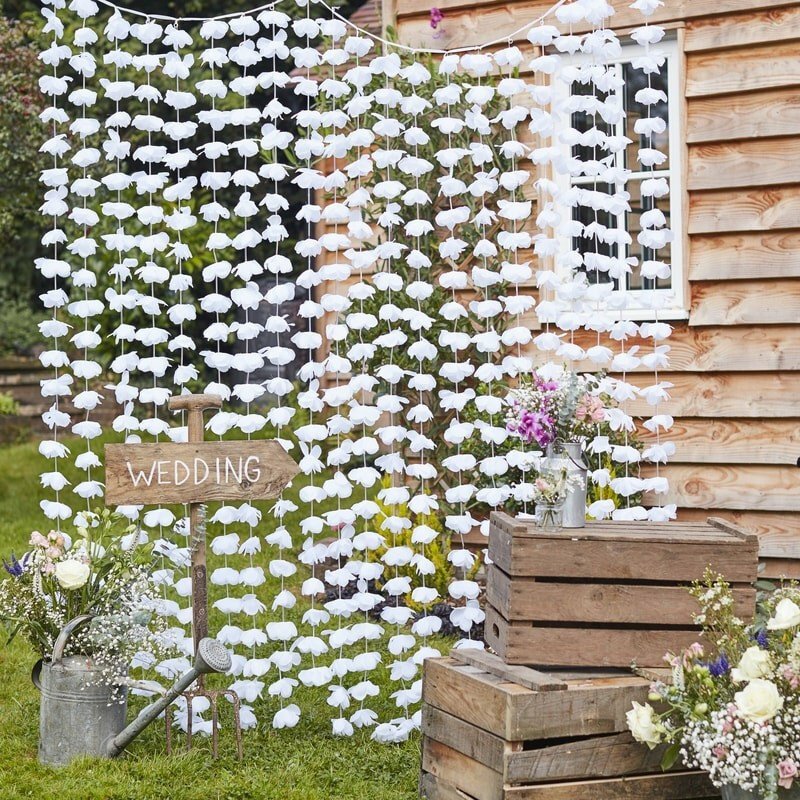 Just in case you’re having trouble narrowing down all your options, here’s a list of photo booth backdrop ideas. 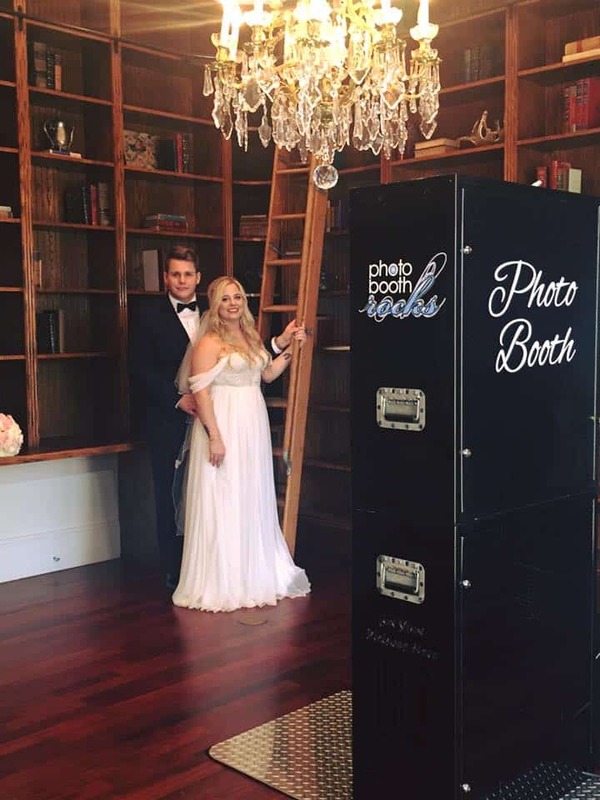 If you’re lucky enough to be hosting your event at a really beautiful or interesting venue, use it as the backdrop for your open air photo booth! The Orlando Science Center’s dinosaur room, a stunning lake shore, or just a really cool room make for perfect, no-prep backdrops for photos. The library at the Luxemore Grand Estate creates a literary, historic vibe. Nature is a timeless backdrop. If there aren’t any awesome views at your venue that can serve as backdrops, a simple blank wall is an easy option. Simple white walls are classic backdrop material, while brick or stone provides some texture that will make your selfies pop. Brick provides visual interest without competing for attention. 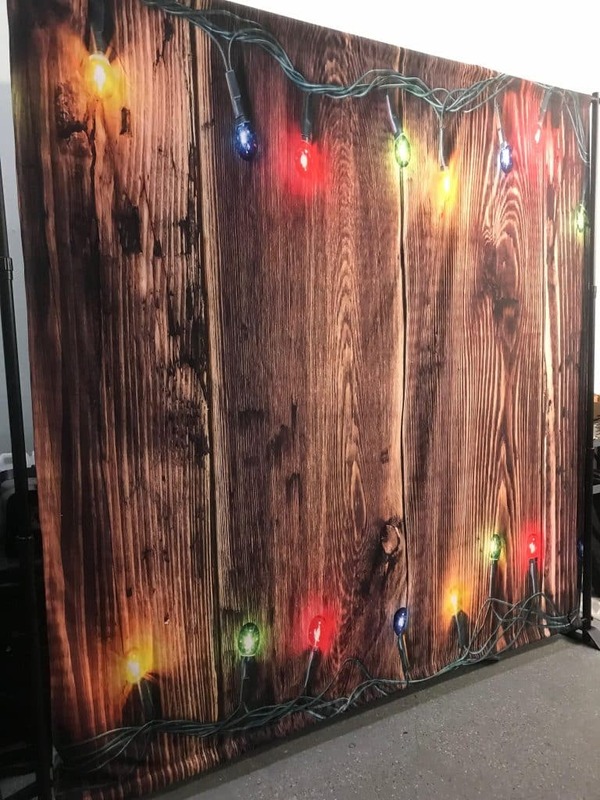 If you’re having a themed event with a more casual vibe, you can always purchase a backdrop from Amazon or a local party supply company. Because they’re made of thin vinyl (like a picnic tablecloth), vinyl backdrops won’t last forever and won’t have a crisp, professional look. But if you just need something simple and cheap to give an extra “oomph” to your pictures, they can be a good option. 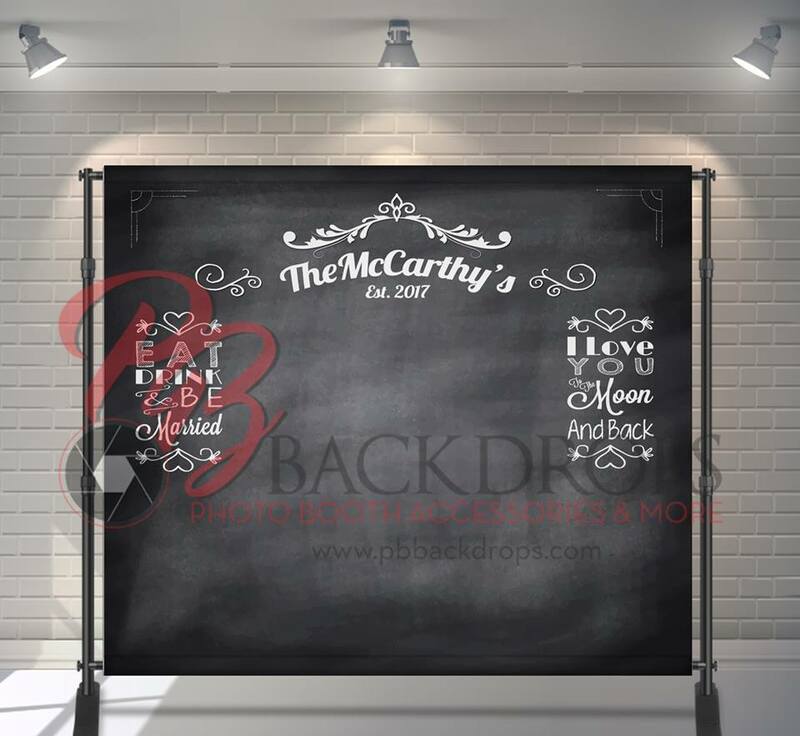 If you still want an over-the-top professional look, search Etsy for photo booth backdrops and find one that fits your event’s color palette or theme. Or maybe you have a really cool prop that would make the perfect backdrop. 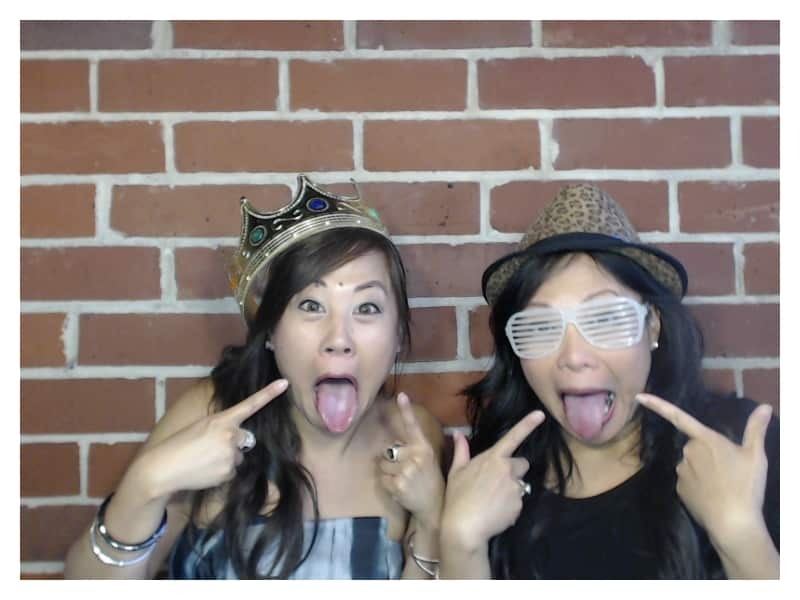 Bring that to your event and set it up with the photo booth! Your guests will get a kick out of it. 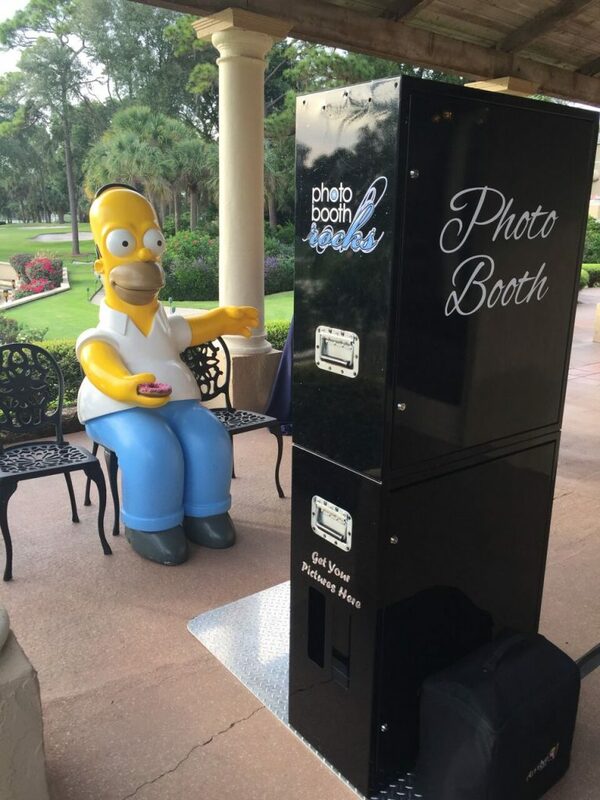 Take a look at the photo booth setup we did for a Simpsons-themed wedding. If you’re crafty and time isn’t an option, you can always make your own background! The internet is full of awesome, cheap, and downright gorgeous photo booth background tutorials that—if you have the skills—can transform your pictures and your venue. We LOVE this custom background that our clients made out of balloons! They really transform the look of the finished photo booth strip. If there’s one thing to be said about the event planning industry, it’s that you can rent anything. 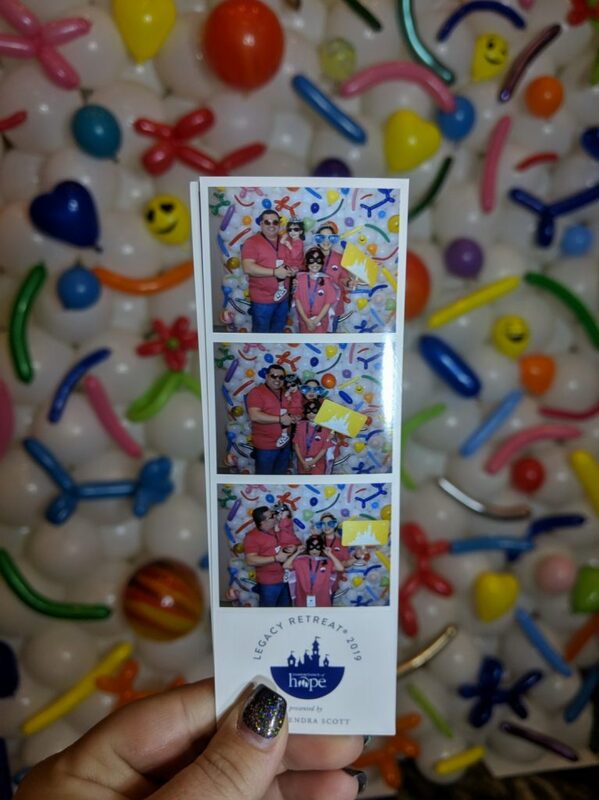 Photo booth backdrops are no exception! If you’re already working with a rental company, ask what their backdrop options are. Most companies have several backdrop selections available to go behind a sweetheart table or to act as the background for a wedding ceremony. Guess what? They’re often the perfect size for a photo booth backdrop! If DIY isn’t really your thing, this is an easy way to boost the glam on your selfie station. 5. Use One of Ours! It should come as no surprise that a photo booth company would have a gorgeous selection of backdrops to choose from. 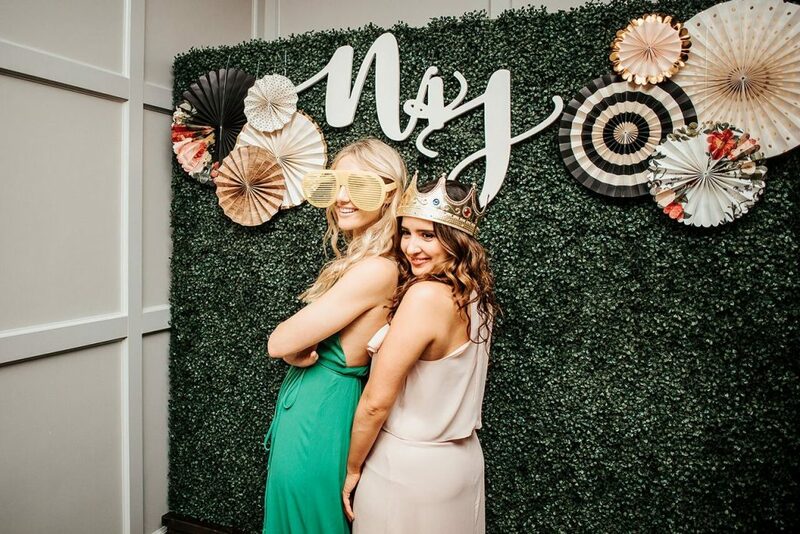 Our open air photo booths can be modified to hang a white, black, or gray backdrop or one of our glitter backdrops (silver, gold, or the super-trendy rose gold) to add a dose of glam to your photos. 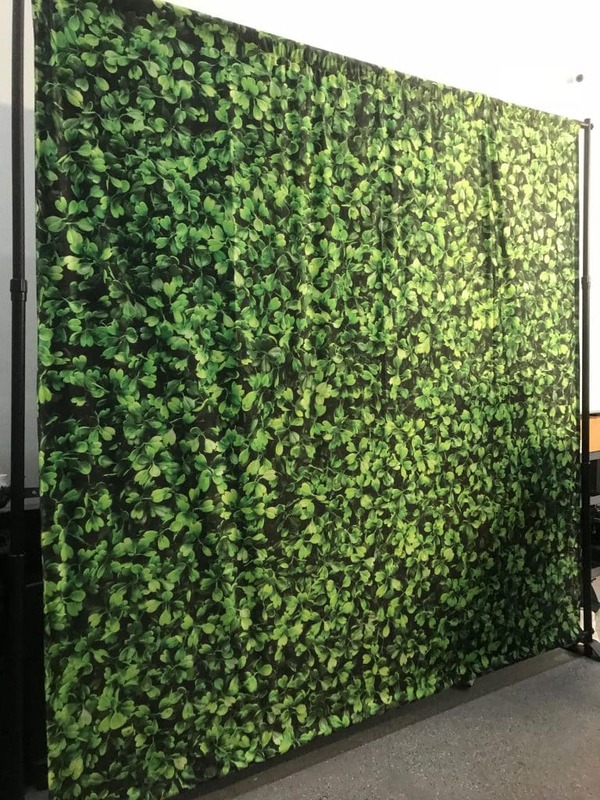 If you want a little more space in front of the camera to fit more people, our vine wall can be set up anywhere (and even embellished to match your event decor or theme). Don’t you love the initials and the paper wheels? Of course, we understand that glitter and vines don’t work for everyone, but we’ve got you covered. Still don’t see anything you like? Let us know and we can upgrade you to a custom backdrop like this one. Don’t have a logo, you say? You’re just going to a trade show or throwing a party, not launching a business? We have a wide selection of logos that we can customize for you. Print them up on a custom banner or simply put them on the bottom of everyone’s picture strip. Either way, you’ll look like a total baller and no one has to know that you didn’t pay a graphic designer top dollar to design a logo for you. Our open air photo booths rock, but the right photo booth backdrop will take your photo booth setup over the top. Something else that will take your booth to a whole ‘nother level? Our newest model: the mirror booth! 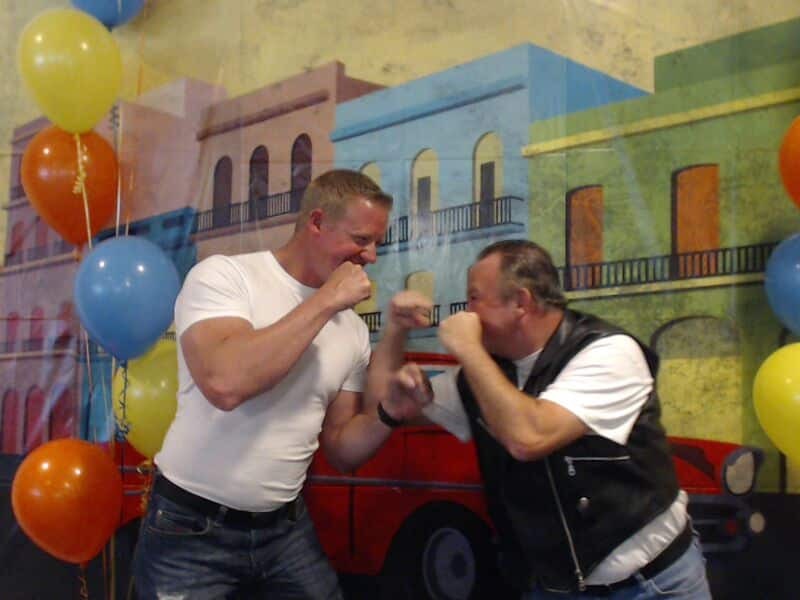 Our mirror booth works just like the open air booth, so you can choose whatever backdrop you like, but it just adds a new dimension of interaction and fun while your guests are cheesing it up. Add emojis, text, or a signature to your pics. Select an overlay for the printouts (the mirror booths print out a 4×6). Feel like Harry Potter as you interact with a magical mirror touchscreen that makes you look as fab as you like. Our mirror booth lets you have it all. And don’t forget to pick the perfect photo booth props! We have props for any theme, style, or event you could imagine. And they’re all free with your rental.